The health and wellbeing of older people using participatory musical activities, particularly singing. We coordinate Silver Song Clubs in the community to provide regular sessions of singing and music-making – primarily for seniors who are aging in place/at home. Our work is embedded in research undertaken by the Sidney De Haan Research Centre for Arts and Health based within Canterbury Christ Church University, in the UK. Learn more. 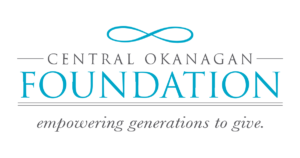 Our charitable foundation was established in Canada in 2008 as one of the first international chapters of the UK originating charity that began in 2005. We are based in Kelowna BC and bring participatory singing and music-making to seniors throughout the province; expansion across Canada is our hope. Sing for Your Life (SFYL) was founded in the UK by Nigel’s family in 2005, in collaboration with the Sydney De Haan Research Centre for Arts and Health. Nigel became involved in the nonprofit sector since 1983, when he co-founded the Make-A-Wish Foundation of Canada. It was a natural fit for him to introduce SFYL into BC. Nigel was infectious about causes he believed in and with Canada’s aging population – and too few services that focus on wellness for older people – he was committed to seeing the organization grow. In 2012, Nigel received the Queen Elizabeth II Diamond Jubilee Medal.